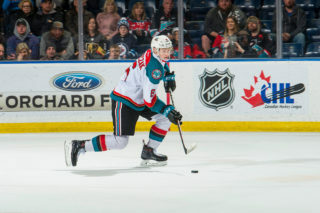 The Kelowna Rockets are looking to pick up a couple wins when they play this weekend. The team is off to Kennewick, Washington where they’ll face the Tri-City Americans Friday night at the Toyota Center. 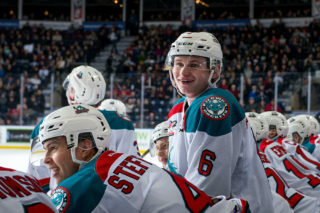 The Rockets will then return home to Prospera Place to play the Saskatoon Blades on Saturday, which also happens to be the Kelowna’s fifth annual Teddy Bear Toss Game. 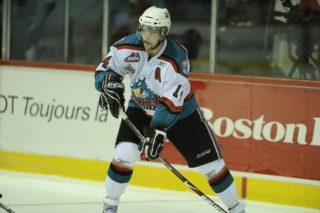 The Rockets last played on Wednesday when they hosted division rival Vancouver, Kelowna fell to the Giants 2-1. Right winger, Michael Farren says the team needs to fire shots and follow them up. Farren says he’s also looking forward to facing his former team on Teddy Bear night; he was acquired in a trade from the Saskatoon Blades on October 11th. “I’m pretty excited to play against the old team and see a few of my friends. I really want to get the win against them and rub it in. It’s going to be a fun game because of teddy bear toss, it’s always fun seeing all of the bears thrown on the ice. The one thing we need to do is keep the energy going after that opening goal,” said Farren. Tomorrow nights game will be the third time this season that Kelowna has seen the Tri-City Americans. They previously met during a home and home series that the two teams split. Kelowna skated away with a 3-2 victory on October 12th in Washington, while Tri-City took the next nights game 5-4. 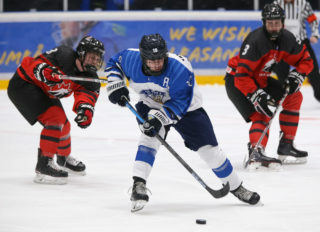 After Friday the two will only play once more this regular season, next week on Wednesday, December 5th at Prospera Place. Kelowna heads into Friday nights game with a record of 11-15-1-0 and 23 points – they’re tied with Prince George for third in the B.C. Division. The Rockets are three points ahead of the fifth-place Kamloops Blazers and trail the second place Victoria Royals by only a single point. Vancouver sits atop the B.C. Division with an 18-6-2-0 record and 38 points. The Americans have a record of 14-9-0-0, they’re fourth in the U.S. Division with 28 points. They’re nine points ahead of the fifth-place Seattle Thunderbirds, they’re two points back of the third place Portland Winterhawks and three points back of the second place Spokane Chiefs. The Americans trail the first place Everett Silvertips by 13 points. The Saskatoon Blades are also in action Friday night, they’ll face the Kamloops Blazers before heading to Kelowna. Saturday nights game will be the only time that the Blades and Rockets see each other this season. Kelowna shut out Saskatoon 5-0 in their only meeting last season on December 16, 2017. The Blades sit second in the East Division a record of 16-9-2-0 and 34 points. They trail the division-leading Prince Albert Raiders by 16 points. 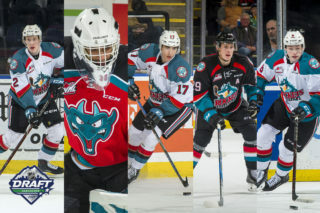 Following Saturday’s game, the Kelowna Rockets players will deliver Teddy Bears from the 2018 Teddy Bear toss to children in the pediatric ward and elderly patients in the Rehabilitation ward at Kelowna General Hospital Sunday morning. The team will then be at the Tim Horton’s Family Skate at Prospera Place from 1:30 pm to 3:00 pm. Season tickets are on sale now! Season ticket holders will have first right of refusal on 2020 Memorial Cup presented by KIA ticket packages.